Hi Mark , I am the other half of the two brothers from down under, Ladd has I think been in touch with you. We still talk about the great night we had in your pub, meeting yourself , the kind hospitality and many of the locals , wow a great night it was, it was ( I think? ?Ã‚Â—next morning a little slow, Ladd struggled with breakfast) I had spoken to Ladd about this great pub in Tippy and you guys filled a dream for Ladd who has not traveled to this part of the world before. Our whole Irish trip was one out of the box. I hope one day we can return, the Guinness I can still taste, will never leave my memories, that very special night, laugh a minute it was. Mark thanks for you part in this, making us so welcome, please say hi to Tommy saw his photo on the web site Till we meet again, somehow I suspect this could happen, hopefully not another 20 odd years goes by. 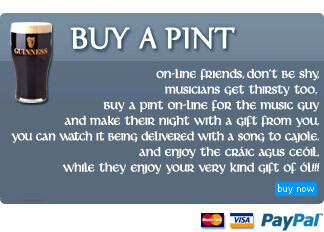 Personal best wishes and kind regards Keep the Guinness cool!!!! Brian Robinson Half kiwi, half Aussie, half Brit, half Irish Buggar !! 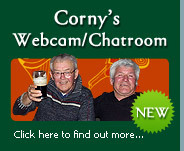 orny's of Tipperary Town Live Web Cam! I love you guys, what a great pub. Really enjoyed the session on Thursday night, next time I'll bring my tin whistle. Might even have a pint of Guinness or Two. Thanks!!!! 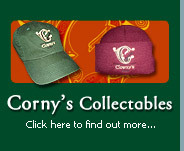 Corny's Pub, Tipperary Town, Ireland.